I really can’t think of a more positive line that I’ve read in a while. This song is dark, but allows you to see the glimpses of hope in the darkness with juxtaposition throughout it. I have always liked artists that are realistic about the trial and tribulations that make us human, yet give a signal of hope to surviving those things. I just love basically everything about this song. The lyrics, the haunting vocals, the clean production. This is definitely one that will be added to all of my playlists ASAP. Femke is a producer during the day but an artist at night, and on one of those nights Wounded was born. 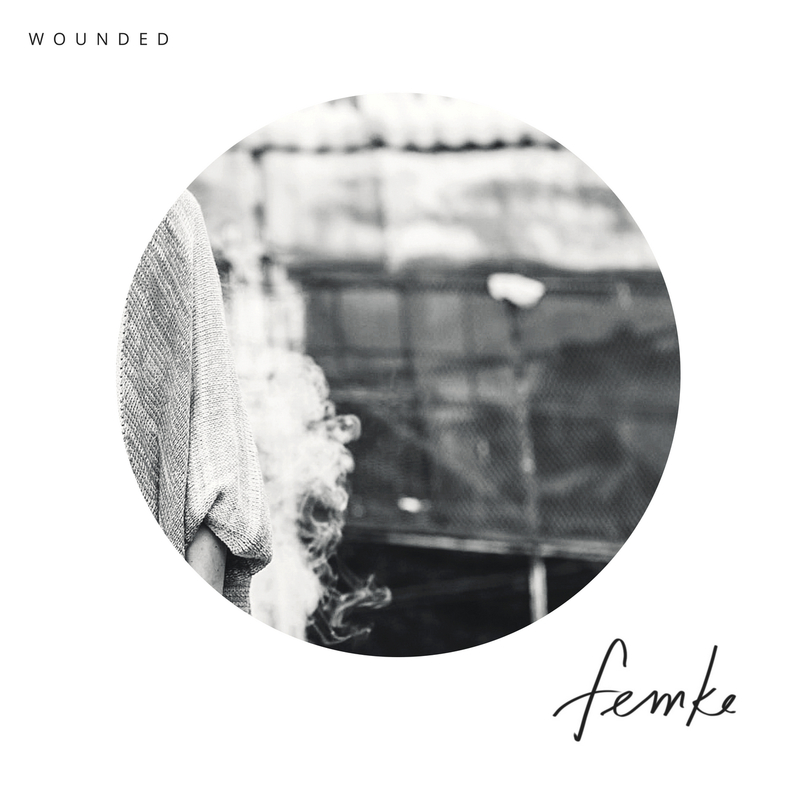 “It came from kind of a dark but hopeful place, the lyric is the hopeful part but the music still reflects the darkness.” Femke, who has collaborated with artists such as Belle Mt, Estelle, Mark Hoppus and many more throws a curveball into her mainly electronic repertoire with this song. Find this song and many more on our June TOTD Spotify playlist right here. Hei, I’m brazilian and some parts of the song I can’t understand very well. Can someone send the lyrics to me? My e-mail address is gustavo-gsr@hotmail.com. I just love that song even understanding a little part of it. Unfortunately I don’t have the full lyrics. You might be able to reach out to the band themselves.